Every small business needs a business checking account for handling money and processing financial transactions. While many small business checking accounts are similar, some providers charge lower fees or have better introductory offers. We looked at a range of options and compared them to identify the 10 best small business checking account providers. Fit Small Business has been banking with Bank of America for five years and plans to continue to use Bank of America for its business checking. New customers may qualify for a bonus of up to $450 when you open a business checking account, set up online bill pay, and use a Bank of America small business credit card. Chase Bank has 5,100 branches,16,000 ATMs, an easy-to-use website, and a great mobile app, making it an excellent option whether your small business relies on a physical location or does most of its banking online. It offers one of the most competitive fee structures, unlimited cash deposits, and you can open an account with no minimum depsoit. First-time Chase Total Business Checking account holders are being offered a $200 bonus for opening a new account. This article was originally published in September 2016. We update the content regularly because the banks, credit unions, and other providers we cover change their product offerings frequently. We also monitor interest rate changes from the Federal Reserve. The central bank held rates steady at its most recent meeting in January. The most recent changes to the best small business checking accounts include a monthly fee decrease from PNC Bank and a merger announcement from SunTrust Bank. We monitor Federal Reserve rate changes because they impact the cost of money for banks. When the prime rate changes, banks may change their account fees or even start paying interest on checking accounts. In January 2019, the Fed held unchanged its benchmark interest rate. In late January 2019, Federal Reserve Chairman Jerome Powell suggested future rate increases may be put on hold unless the national bank sees evidence inflation is increasing too much. The Fed had earlier predicted it could raise rates twice in 2019, but that now appears in doubt. In February 2019, PNC Bank, the Pittsburgh-based bank with branches in 19 states, lowered the monthly fee on its PNC Business Checking account to $10 from $12. The bank also reduced the requirements for getting the monthly maintenance fee waived. This change did not impact our rankings. You’ll need to maintain a minimum average monthly balance of $500 ― down from $1,500 ― make $500 in purchases with your PNC credit card ― down from $1,000 ― or deposit at least $500 worth of PNC merchant services card payment proceeds into a PNC business checking account, with no prior minimum requirement, to receive free checking. The changes should make this account more attractive to business owners in the states where PNC operates. PNC still has a smaller footprint than banks we rank higher like US Bank or offers fewer free services like Capital One Bank. SunTrust Bank and BB&T Bank in February announced an agreement to merge. We rank a business bank account from Atlanta-based SunTrust among the 20 best small business checking accounts in our expanded list in this article. The announcement did not affect our rankings. The combined bank will operate under an as-yet-unannounced new name after closing, expected in the fourth quarter of 2019. The announcement has not triggered changes to business checking accounts at either bank. The combined bank will be headquartered in Charlotte, North Carolina. Small business checking accounts differentiate themselves through introductory offers and incentives like free transactions or monthly cash deposits. They may also differ in account charges, including monthly fees, ATM fees, or transaction fees. These are some of the most important things we considered when deciding on the best business checking accounts. Many of the banks on our list offer multiple business checking account products for businesses of different sizes. In this article, we’re comparing the best business checking accounts with the lowest costs. If your needs differ, we encourage you to check out the other business checking options provided by the banks on our list. Fit Small Business has been banking with Bank of America for five years and plans to continue to use Bank of America for its business checking. New customers may qualify for a bonus of up to $450. Chase Bank, offer a $200 bonus for new customers, is our pick as the best small business checking account provider. We chose it as the best business checking account because it has a flexible network and lower fees when compared to the other options on the list. Chase Bank offers one of the largest networks of all business checking accounts, giving you access to more than 16,000 ATMs and 5,100 branches nationwide. Chase Total Checking requires no minimum deposit to open an account, and your fees could be as low as $0 if you have $500 in monthly deposits or a daily balance of at least $1,500. The requirements to earn free checking are lower with Chase than with any other best bank for small business. Chase Bank can offer the best checking solution for any business with convenient access to one of its branches or ATMs. Chase offers unlimited cash deposits — free up to $5,000 in deposits each month — which makes it the best option for businesses that make many cash deposits or that need a branch to conduct transactions. Plus, it offers one of the best fee structures overall and checking solutions for businesses of all sizes. First-time account holders can earn a $200 bonus when opening a Chase Total Business Checking account. That’s a slightly smaller bonus than some other banks on our list offer. Since the monthly fee is waived with a minimum daily balance of $1,500, you should have no problem also receiving in bonuses if you’re already able to get the fee waived. Compare these requirements to Bank of America, which requires account holders to make a minimum deposit, use a bank credit card and pay bills online. Chase Bank has one of the best fee structures of all the business checking accounts we’ve researched. It does a good job at keeping fees low for small businesses, helping you get the solution you need without you having to overpay for it. The Chase Total Business Checking account offers the best network when you take into account its flexibility. Chase Bank has more than 16,000 ATMs where you can withdraw cash and deposit checks. The bank also has more than 5,100 branches in 29 states that can help small business owners with any banking need they have. The Chase Total Business Checking account offers integrations with the leading accounting software like QuickBooks. Additionally, Chase Bank offers a mobile finance app that lets business owners deposit checks online, check their account balances, pay bills, and make transfers. Chase Bank branches are typically found in major markets, so it may be hard to find a Chase branch in smaller markets. You can use its branch locator to see what locations are closest to you. Chase also limits free transactions to 100 per month. Still, Chase offers the best small business checking account with a low monthly fee. It’s fairly easy to meet the requirements to waive that fee. We couldn’t find any online user reviews of the Chase Total Business Checking account, but general reviews of this big bank are pretty mixed. Account holders either love the convenience of branch banking and the customer service or complain about fees or account restrictions acting as a barrier to free checking. Visit our Chase Business Checking reviews page and leave your own review. You can apply for a business checking account with Chase directly on its website within minutes to take advantage of its introductory offer. You can also visit a local branch to work directly with a business banker and apply for an account. Bank of America offers a business checking account that is comparable to Chase business checking. It is best for businesses that are near the more than 5,000 physical branches and more than 16,000 ATMs nationwide. Its network offers unique advantages like your ability to make deposits directly at every ATM. Bank of America is a good fit for any business that makes significant monthly cash deposits. Pay just 30 cents per $100 after the first $7,500 each month. You’ll start paying for cash deposits with Chase after just $5,000 in deposits each month. If Bank of America is more convenient for you than Chase, then we recommend going with Bank of America. The Bank of America Business Fundamentals account also currently offers a $450 bonus for first-time business checking account users. To qualify, you must have meet certain minimum initial deposits, pay bills online, and obtain a Bank of America small business credit card. Bank of America’s fees are comparable to most other large banks offering business checking accounts. It isn’t the most affordable, but its fee structure isn’t a deal breaker, either. Even though the monthly fee is higher than Chase, Bank of America gives you plenty of opportunities to get your monthly fee waived. Most businesses will be able to put $250 of their monthly expenses on their debit card, which will make the business checking free for you. The Bank of America Business Fundamentals checking account has a comparable network to Chase. Bank of America has more than 16,000 ATMs across the nation, all of which have full capabilities for deposits and withdrawals. Bank of America also has more than 5,000 branches, which is similar to Chase Bank. You can see its locations using its branch locator. The Bank of America Business Fundamentals account can integrate with accounting companies like FreshBooks. Bank of America also has a mobile app that can be used to deposit checks, watch accounts, make transfers, and pay bills. 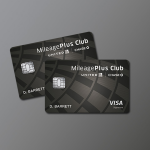 These features are similar to what Chase offers its small business checking account holders. Bank of America has a giant branch network but, like the other biggest banks on our list, it doesn’t have a footprint in all states. In fact, there are 17 states with no Bank of America branch, most of which are in the South and Midwest. Still, Bank of America has the best small business checking account if you deposit up to $7,500 in cash monthly. In Bank of America reviews, users say they have little problem meeting the requirements to avoid a monthly fee. The reaction was mixed regarding the bank’s customer service, with some account holders deeming it excellent while others expressed frustration that business customers weren’t given proper attention. Bank of America received an A+ rating from the Better Business Bureau. You can apply for a Bank of America business checking account online through its website. Once you fill out its online application, you may need to email or fax additional materials, which can take three to five days. Once Bank of America receives your signature card, you’ll be approved to use your business checking account. Capital One offers a low-cost business checking account — a $15 monthly fee — that’s best for owners who make many transactions per month as there is no transaction fee. Although it offers a network of more than 39,000 ATMs nationwide, Capital One has around 750 physical branch locations across eight states — far fewer than other large banks on our list. Capital One Spark Business Basic Checking is a great fit for businesses that need a low-cost checking account. You’ll pay $15 a month with several options to waive that fee, and there are no transaction fees. eCommerce or online-based businesses may favor this account since deposits can be made electronically. You may be targeted for a $100 or higher bonus based on the market in which your business operates, but you must visit a branch to apply. Branches are located in Connecticut, Delaware, Louisiana, Maryland, New Jersey, New York, Texas, Virginia, and Washington, D.C.
Capital One charges no monthly fees if you maintain a balance of just $2,000, and it allows for an unlimited number of monthly transactions. Other banks offer a limited number of free transactions. PNC Bank, for example, charges 50 cents per transaction after the first 150 transactions each month. The Capital One Spark Basic Business Checking account has the largest overall network, but the fewest physical branch locations. Capital One boasts more than 39,000 in-network ATMs that don’t charge a service fee, but it only has around 2,000 ATMs that accept deposits. Plus, Capital One only has around 750 national branches, which is the lowest number on our list. The Capital One Spark Basic Business Checking account can integrate with top accounting software like Xero. Capital One also has a mobile app that a business owner can use to deposit checks, track their accounts, pay bills, and make transfers. Capital One currently requires a branch visit to complete an application. Online, it offers handy information for what you’ll need to bring when you apply, including the legal name of your business, your tax ID number, ownership structure, number of employees, percent of ownership, and annual gross revenue. US Bank’s free business checking option, its silver business package, is best for businesses looking for a free account that make fewer than 150 transactions per month. Few banks on our list offer a fee-free option with no requirements. US Bank offers a large network of more than 3,200 physical branch locations and more than 5,000 ATMs in 25 states. US Bank is a good fit for small businesses that make fewer than 150 transactions a month as you’ll pay 50 cents per transaction after that. Compare that to Bank of America, which offers 200 free transactions. US Bank also is good if its branches and ATMs are geographically convenient to your business. These offers aren’t quite as lucrative as what other banks offer. Bank of America, for example, offers a $450 bonus on its Bank of America Business Fundamentals account for first-time business checking account users. US Bank offers a very competitive fee structure for all of its business checking account options, but the free business checking it offers tops all of the banks with branches in multiple states. Chase, for example, doesn’t offer a totally free checking account; you have to meet deposit requirements to earn a waived monthly fee. US Bank has a large network nationwide, but it’s not as big as Chase or Bank of America. US Bank has 3,200-plus physical branch locations and more than 5,000 ATMs for you to access for either withdrawals or deposits. US Bank also has free access to the MoneyPass ATM network, which gives its business account holders free ATM withdrawal access at 25,000-plus ATMs nationwide. You can use its online branch locator to find the closest one to you. Like US Bank, Comerica Bank also offers payroll processing. Most banks, including Chase and Bank of America, offer mobile apps that allow for remote check deposits. US Bank limits free accounts to minimal monthly activity, so if you need to make more than 150 transactions per month, look to another account like the Bank of America small business checking. It also doesn’t disclose its fee for additional cash deposits before you go through the application process, so be sure to ask as you go through the application process. The few online reviews specific to the Silver Business Checking account offer praise for the lack of monthly fees. Bank users in general offer both appreciation and criticism of the bank’s customer service. Some users complain about the usefulness of the bank’s app. US Bank received a B+ rating from the Better Business Bureau. You cannot apply online for a US Bank business checking account. You must contact a US Bank specialist via telephone or online form, or you can walk into any of its nationwide branches. PNC Bank’s business checking account is best for small businesses looking for cost savings in the first few months. You can open an account with as little as $100, and PNC will waive your monthly maintenance for the first three months. While it doesn’t have as many physical locations as other banks on this list with only around 2,800 in 19 states, its ATM network is 6,000 strong. PNC Bank offers a competitive checking account that is a good fit for small businesses that want an initial price break. You’ll pay nothing for the first three months, then $10 per month thereafter, although you can have the fee waived when you meet certain conditions. It has a wide enough network to be competitive with each best bank for small business on our list. PNC introductory offers change regularly. At the time of writing this article, you can earn $100 when you open a PNC Business Checking account. This offer is only valid in qualifying branch locations, and you must maintain minimum balances to qualify. That’s less than the $450 offered by Bank of America and the $200 bonus that Chase offers. PNC Bank’s fees are very competitive with similar checking accounts from each best bank for small business on our list, and it leads the way with larger businesses through its Business Checking Plus account. The fees disclosed here are for introductory business checking accounts and are comparable with other accounts covered in this article. PNC will waive the monthly fee for the first three months of your account being open. No other bank on our list includes an introductory offer like this. PNC has a network of more than 2,800 physical bank locations in 19 states and Washington, D.C., and 6,000-plus ATMs. It’s not as large as some of the other national banks in this article, but it’s a good fit for large businesses that either primarily operates in a single geographic location or online. PNC Bank offers several additional features that are only available on the Business Checking Plus account at $20 per month like cash flow insight for your receivables and payables. It also offers every business checking account holder the ability to manage its entire banking process online through its mobile banking app, including depositing checks as well as free online bill pay. These features are similar to what you’ll find with Bank of America and Chase. PNC offers a good small business checking account option with low fees but has a smaller bank network than many banks on this list. If you need access to physical bank branches and aren’t located in one of the 19 states plus Washington, D.C., where PNC has branches, it may not be right for you. Still, the bank offers a good small business checking account option with low fees. Online reviews are mixed. Account holders say customer service is generally very good, but one user complained of being put on hold for 15 minutes. Some users have complained about unexpected charges on their account and a confusing website. Applying for a PNC business checking account is a three-step process. First, you’ll fill out an online form about you and your business. Second, a PNC Bank business banker will call you directly. Third, you’ll physically go into a PNC Bank location to finish the process. You can also bypass the first two steps by taking care of them inside a physical branch location. Wells Fargo offers a small business bank account that’s best for businesses to grow with because of the bank’s additional services. It has one of the largest networks with more physical branches than each best bank for small business on our list at more than 6,300, and Wells Fargo’s Simple Business Checking account at $10 is less expensive than what Chase offers. Wells Fargo can likely meet your needs regardless of the size of your business and, because of the numerous additional financing and investment services that Wells Fargo provides, it’s better than most other banks at helping growing businesses. You can upgrade your business checking easily as your needs increase in both monthly transactions and deposits. Wells Fargo occasionally offers in-branch bonuses for opening new business checking accounts. See your nearest branch for details. The bank does not currently offer a sign-up bonus through its website. Many of the other banks on our list do, including Bank of America, which offers up to $450 when you open a new account. Its fees are not as competitive as others with its introductory business checking account. However, its fee structure improves for larger businesses with upgraded business checking accounts. The Wells Fargo banking network is competitive with both Chase and Bank of America with more than 6,300 physical branch locations and 13,000-plus ATMs nationwide. It has physical locations in 39 states and offers banking solutions to any business nationwide. Like other banks on our list, Wells Fargo offers a robust mobile experience that includes remote check deposits. No other bank on our list allows the debit card personalization that Wells Fargo offers. The Simple Business Checking account is fine for new businesses that don’t need to make frequent transactions, but the account could become costly for businesses that make more than $3,000 in cash deposits each month. The bank’s other choices are Business Choice Checking, which allows $7,500 in free deposits with a $14 monthly fee and Platinum Business Checking, which allows $20,000 in deposits at a $40 fee. Wells Fargo has been plagued by scandal in recent years, and that’s reflected in its generally negative online reviews. Account holders complain about long waits while attempting to connect with customer service via phone, but some praise in-branch service as being quite good. 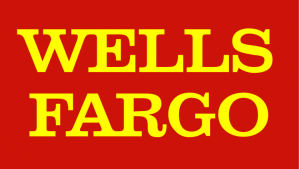 You can apply for a small business checking account with Wells Fargo directly on its website. You’ll also need to provide certain documents through the mail and make an opening deposit. If you live in a state without a Wells Fargo branch, then you’ll have to call its toll-free number at 800-416-8658 to apply. BBVA Compass is best for sole proprietors because it offers one of the best free small business checking accounts with no monthly fee and no minimum monthly balance. BBVA Compass also offers free access to more than 39,000 ATMs nationwide, but only has about 650 branches in seven states, which is a much smaller footprint compared to other banks on our list. BBVA Compass has the best business checking account if you’re a sole proprietor and want a low-cost account with limited transactions. BBVA Compass is also ideal if you live near one of its branches or don’t require access to a physical branch for business banking. BBVA Compass does not currently have any introductory offers. Most of the other banks on our list do. 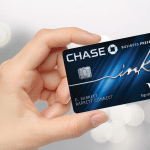 Chase offers new account holders a $200 cash bonus after meeting minimum deposit requirements. BBVA Compass’ fees are very competitive for those business owners who qualify for an account. BBVA Compass does not charge monthly maintenance fees, no ATM fees and has no minimum account balance. Citizens Bank offers a similar fee-free account. BBVA Compass has one of the smallest networks of physical branches on this list with just 650 branches in Alabama, Arizona, California, Colorado, Florida, New Mexico, and Texas. However, clients have free access to BBVA Compass ATMs and more than 43,000 Allpoint ATMs nationwide. BBVA Compass is most similar to Citizens Bank, which also charges no monthly fees, nor does it require a minimum balance. BBVA Compass has very few branches, which are in only seven states and severely limits free in-branch transactions each month. Still, this is one of the best business checking accounts for no monthly fee and few additional costs. Only sole proprietors may apply for the BBVA Compass ClearConnect for Business account online. We were unable to find any online user reviews for the BBVA Compass ClearConnect for Business account, but the bank generally receives fairly mediocre marks, with customers frequently complaining about fees, access to funds and in-branch customer service. Sole proprietors can apply for the BBVA Compass ClearConnect for Business account through the bank’s website. Others must apply in branch. You can also learn more about its offerings and branch locations. If you decide to apply, the entire process can be completed online. Citizens Bank is best for small businesses that need to make 200 transactions or fewer each month. Its Clearly Better Business Checking account charges no monthly fee, has no minimum balance and offers 200 free transactions each month. Minimum opening deposit is $100. Headquartered in Rhode Island, Citizens Bank operates in eight states but provides banking services to more than 5 million customers nationwide. Citizens Bank is ideal if you’re located near one of its branches and want a low-cost account for handling up to 200 transactions per month. Citizens Bank also has one of the best small business checking accounts if you aren’t sure whether you’ll maintain a minimum balance required by other banks on this list. Much like PNC Bank and BBVA Compass, Citizens Bank doesn’t currently have an introductory offer. Other banks on our list do, including Bank of America, which offers up to $450 when you open a new small business checking account. Although its banking products aren’t available everywhere, Citizens Bank’s fees are extremely competitive compared with other banks on this list. In addition to no monthly fee, Citizens Bank has no minimum initial deposit and no required minimum balance. Citizens Bank is only present in eight states: Connecticut, Massachusetts, New Hampshire, New Jersey, New York, Pennsylvania, Rhode Island, and Vermont. Citizens Bank has one of the smaller bank networks on this list with about 1,150 branches at 3,300 ATMs. While customers can also access Citizens Bank accounts using out-of-network ATMs, there are fees for doing so. Funds post same-day for after-hours deposits until 10 p.m.
Like the bigger banks such as Chase and Bank of America, Citizens Bank offer mobile check deposit services. It does not offer the same level of accounting software integration as Bank of America does. Citizens has one of the smaller bank networks on this list. It also limits businesses to 200 free transactions per month, compared to Capital One, which has unlimited free transactions. This is one of the best business checking account providers for no monthly fee and no minimum balance. Online user reviews for Citizens Bank are generally positive, although we couldn’t find any reviews specific to its business checking accounts. Account holders gave high marks to the bank’s low fees and customer service. One reviewer compared Citizens Bank favorably to larger national banks. Citizens Bank received an A rating from the Better Business Bureau. You can learn more about a free small business checking account with Citizens Bank by visiting the bank’s website. You can also find out whether it has a branch or ATM near you. If you decide to open a small business checking account with Citizens, you can begin the process directly on its website. TD Bank offers low-cost small business checking accounts at $10 per month that are best for companies with Canadian operations. The bank has branches along the East Coast and in every Canadian province. TD offers low-cost small business checking accounts that have no minimum balance and easy access to ATMs across the United States and Canada. TD Bank is great for small companies that want a low-cost checking account and easy account access in both the U.S. and Canada because the bank offers branches in 15 U.S. states and every Canadian province. TD is also ideal for companies who have additional needs outside small business checking including investment services. Like, Citizens Bank and BBVA Compass, the TD Business Simple Checking account does not come with an introductory bonus. Other banks on our list do, including Chase, which offers a $200 cash bonus to new business checking account customers. While TD Bank has a lower monthly fee than many banks on this list, there is no way to have this fee waived. However, TD Bank is currently offering to waive monthly fees for a premier checking account if you take out a business loan. TD Bank has one of the smaller bank networks on this list, with more than 1,250 branches and 2,500 ATMs across 15 East Coast states, Washington, D.C., and in every Canadian province. It has branches in Connecticut, Delaware, Florida, Maine, Maryland, Massachusetts, New Hampshire, New Jersey, New York, North Carolina, Pennsylvania, Rhode Island, South Carolina, Vermont, and Virginia. Branch access is greater with TD Bank than with other banks on our list like Chase because it keeps its branches open seven days per week. TD Bank also has more Canadian branches than any other bank on our list. TD Bank doesn’t have as many branches or ATMs as many of the banks on this list. It also charges a monthly fee for basic business checking that can’t be waived. Still, it has one of the best small business checking accounts for businesses that do a lot of business in Canada or would like access to additional investment services. TD Bank receives generally positive online reviews. Customers say the bank excels at customer service and offers an easy application process. Account holders have said they have had to wait 30 minutes or longer when calling customer service. To learn more about TD Bank and its small business checking account options, visit its website. You can learn more about its fees and other account options. If you decide to open a business checking account with TD Bank, you can start the process online but may need to visit a local branch to finish opening an account. Comerica Bank is best for businesses that can conduct their banking business online because of its restrictions on free transactions and cash deposits. There is no monthly fee, but you’ll pay for transactions above 75 each month. While Comerica Bank is a smaller bank, it offers very cost-effective small business checking accounts as well as payroll processing and other features. Comerica Bank’s Basic Business Checking is ideal if you can do much of your banking online and you don’t have many transactions. You’ll pay 55 cents for each transaction after the first 75 transactions each month, and Comerica Bank also limits the number of free cash deposits to $2,500, so it’s a good provider if you don’t handle much cash. Comerica Bank is currently offering 12 months of free Comerica Web Bill Pay at no charge. After the first 12 months, Comerica Bank charges $6.95 for this service. None of the other banks on our list charge for their online bill payment services. Bank of America offers 200 free transactions per month while Chase offers $5,000 in free cash deposits. Comerica Bank has a relatively small bank network compared to other banks on this list, with just 440 branches in five states: Arizona, California, Florida, Michigan, and Texas. In addition to online and mobile banking, Comerica Bank also has banking centers in Mexico and Canada. Like Bank of America, Comerica Bank allows payroll processing. As with all of the banks on this list, you can deposit checks remotely through Comerica Bank’s app. Comerica Bank has one of the smallest bank networks on this list. If you aren’t located near a Comerica Bank branch, it probably isn’t a good provider for your small business. Still, it offers one of the best business checking accounts for no monthly fee. Comerica Bank receives fairly positive online reviews, with checking account holders applauding the customer service. Hours of operation appear to be a downside for some users as branches tend to close by 4 p.m. in many locations. Compare that with Chase branches, many of which remain open until 6 p.m.
Visit the Comerica Bank website to learn more about the accounts and other services it offers. If you want to open a small business checking account with Comerica Bank, you can start the process online by downloading its Business and Personal Deposit Account Contract. However, you will likely need to visit a local Comerica Bank branch to complete the process. Find the best small business checking accounts for small business by looking for banks with branch networks near you. The best accounts charge no monthly fee or offer ways to avoid a fee. The top banks also offer opportunities to make at least some cash deposits and transactions for free. The best small business checking account for you should offer the features you value the most, whether that be low fees or high transaction limits. Some business owners specifically want a free business checking account. Although many banks offer free business checking under certain conditions, most of these accounts still have fees. If you want a free business checking account, be sure to consider some of these account providers, and check out our guide on the best free business checking accounts. Chase offers free checking for businesses that maintain a monthly balance of at least $1,500. Chase Total Business Checking provides businesses with up to 100 free transactions per month and unlimited electronic deposits. Accounts can be opened with no minimum deposit, and they currently offer a $200 sign-up bonus. Bank of America’s business account is free so long as you maintain a $3,000 minimum daily balance or spend $250 or more a month on your Bank of America debit or credit card. Bank of America isn’t ideal for businesses making several cash deposits. New customers may qualify for up to $450 in bonus cash. Capital One’s free business checking features unlimited transactions and is a good option for small businesses that don’t need a physical branch. While free cash deposits are limited to $5,000 per month, a free business account with Capital One can be ideal for ecommerce businesses and many service-based companies. Azlo offers a free business checking account online with no deposit. However, the bank is online only, which can make it difficult to handle cash transactions and get help on complex account administration issues. Still, the account gives clients access to more than 55,000 ATMs, has no monthly fee and requires no minimum account balance. Novo is a startup bank partnered with Federal Deposit Insurance Corporation-insured Middlesex Federal Savings, located outside of Boston. Novo offers a free business checking account with limited services, making it possible to open a free business checking account online with no deposit minimum. Novo has no physical branches but allows you to send checks directly through their mobile app — all other transactions are completed via ACH. US Bank offers a free business checking account and is a great option for businesses that will make fewer than 150 total transactions and $2,500 in cash deposits per billing cycle. New businesses that will have a slow ramp-up time or those who typically don’t have many transactions will find a good deal at US Bank. BBVA’s business checking accounts offer free online banking with unlimited digital transactions to sole proprietors. A BBVA ClearConnect for Business account can be opened with a deposit of at least $100 and is an ideal checking account options for new businesses that are structured as sole proprietorships. To find smaller, local banks to work with, check out our small business checking account directory. Opening a small business checking account is essential for managing the money of a small business. When comparing checking accounts, we’ve narrowed down the list to those with the best accessibility, features, and cost. These are the best business checking accounts for small businesses. Based on our criteria, the best bank for small business to open an account is Chase. Its Total Business Checking has a flexible network and comparatively low fees. Visit its website today to get more information or to speak to a representative about setting up a small business checking account. Capital One is currently not accepting any new business checking accounts on-line. You can only open one if you go to a branch, which are only located in a few select States. This has been the case since December 2017. They claim they are working on a new site in order to open business accounts on-line in the future, but do not have a timeline for it’s completion. Thank you for your comment. We have noticed this restriction, as well, which makes the account potentially far less attractive for many business owners. We’ve made note in this article that Capital One is not accepting online applications. Note that Bank of America may have a ton of branches, but they have been rolling out a new platform discouraging people to use them other than for loans or the ATM. They are closing all drive thrus and, per the couple of branches that I interact with, will cease to have regularly staffed tellers. They will have “personal bankers” for loans, opening accounts, etc. If you have to go in to the branch and conduct a manual banking transaction (deposit, cashing a check), you will be at the mercy of the personal banker’s spare time. The direct statement about it that I received was that you would basically get in line behind any other customers there (who may be applying for a loan or another lengthy transaction). Obviously, this is to encourage electronic banking, but I think it’s a huge misstep in customer service, especially as Wells Fargo is currently working to be better at face time & personal service (and is doing a great job at it, in my experience). There are people like me that transaction business on behalf of clients (therefore I do not have ATM cards) or people that aren’t comfortable with the machines (typically the elderly) who will be thoroughly put out by this new feature at a bank that wasn’t particularly friendly to begin with. The information in this article is contradictory. For Chase, under “Who Chase Bank is Best For”, you state “Chase offers unlimited cash deposits”, yet under “Chase Bank Fees”, you state “Cash deposit fees: $2.50 per $1,000 after the first $5,000 in cash deposited each month”. Maybe I misunderstand and they do not limit cash deposits although they will charge fees for those beyond $5000. If so, the other banks listed show have explicit limits stated. For Capital One, under “Who Capital One is Best For”, you state “It’s the best free business checking account provider we’ve researched”, yet under Capital One Fees, you state “Monthly fee: $15 (waived if you maintain a minimum balance of $2,000 or sign up for two additional eligible business products)”. That’s not free. Thanks for your comment. Your point about Chase’s cash deposit fees is well-taken. We update these articles regularly, so we’ll make sure we update the fees and clear up that language in our next update. On your 2nd comment, Capital One has a great offering for business checking. We make reference to the account being free because the minimum balance is low enough that most small businesses can easily meet it. As you’re probably aware, it’s pretty difficult to find free business checking accounts that have no minimum balance. Some accounts have fees that can’t be waived even if you maintain a minimum balance of thousands of dollars. For that reason, we identify Capital One is one of the best free business checking accounts. It also has one of the lowest fee structures we’ve been able to identify among national providers. Hope this helps. Thanks again for reading! 4) no international transaction. fees – still true Capone if I can move money to and from account. 5) I do business travel (international and us domestic) for 3-4 weeks at a time need to do everything running my business remotely- how do I find a bank that has functionality spark used to offer. The bank reps don’t know or they tell me functionality is there and then I try to use it and it doesn’t work-customer service just says sorry use bill pay we will mail Check instead. Thanks for your question. We’re sorry to hear that you’ve been having trouble with Capital One. They’ve been updating their Spark checking product lately so hopefully, they’ll work out any underlying problems. “Ready to Open an Account? So, there is no online application. Thank you for your feedback on Capital One’s offering. We’ve found that Capital One has recently been making some product updates and a few of their offerings (including Spark Business checking) are not always available online. Some products are temporarily restricted, including for certain zip codes. However, Capital One also offers some other basic business checking products that are still cost-effective, share many of the same features, and are still available online. If the product you want isn’t available online in your area, you can certainly work through their closest branch. Alternatively, you can try setting up another type of free business checking account online or check out some of our other providers. Hope this helps. Thanks again for reading.